Introduction: What is the main promise, obstacle, and solution of the paper, at the level that you address it? I.e. don’t tell me that cats would be better off if their owners could only be more subservient (promise), cat owners don’t know what their cats want from them (obstacle) and we contribute a tool that helps cats and cat owners communicate (solution). In addition to being too high level, the promise and the obstacle don’t even entirely match up. Instead, tell me the specific communication problem you are probably working on (such as cats needing their litter box cleaned right away being fastidious), the specific obstacle (owners tend to place it where they can’t smell it) and the specific solution (a litter box smell sensor smart phone app?). Then generalize (this is an instance of better cat/owner communication etc etc). I’ve only been a cat owner for less than a year, so those of you who know cats better can probably think of a better example :). Section structure: Every section needs some sort of story, which you should lay out in an overview paragraph (if you feel your text is redundant, fix that later, first get the goals down in overview form). Then there’s the section meat, and hopefully something at the end about what we learned. Not all that dissimilar from the whole paper. Every paragraph needs the same thing. Something along the lines of why the paragraph exists (i.e. a topic sentence that ties to the rest of the section in some way), the meat, and then an ending (what we learned). Again, redundancy is better at first and then you can streamline. Related work: Each related work paragraph should start with a topic statement explaining what it is about (presumably with respect to those topics since you have established them as important). If there are other things you cover in related work, explain what they are and why you cover them in the paragraph where you touch on them. You might also try to end each related work paragraph with a summary sentence that restates the major benefit and open questions left by the work you just described. This should not be about your research, just about the gaps that are present. Vocabulary: Papers often have jargon in them. For those of you who have a tendency to use too much jargon, pick a small number of new terms you will use, introduce them, and then use them consistently. For those of you who have a tendency to use too little jargon (i.e., if you find yourself saying ‘our model’ even when there are three different ones in your paper), follow the same advice :). Keep a list of your writing quirks, whatever they are, as your editors uncover them for you. Inconsistent use of -? Lack of italics on latin? Forget to check that your reference program didn’t introduce errors? Excess word phrases such as ‘in order to’? 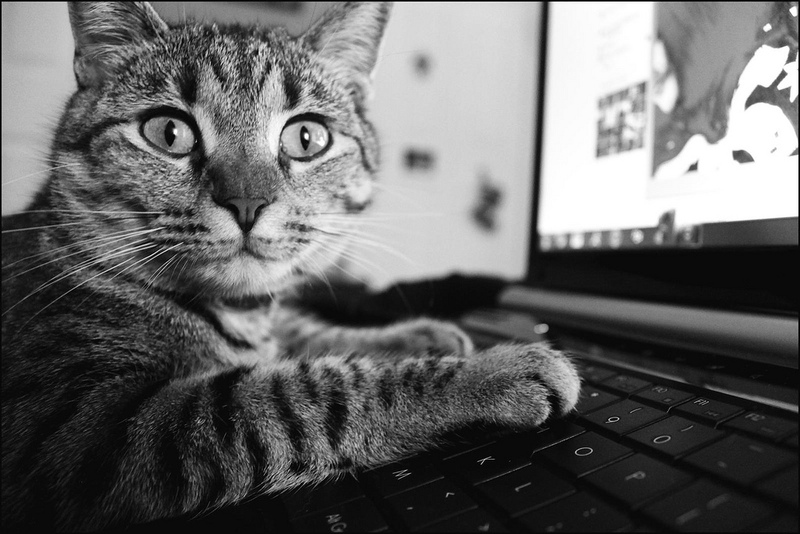 When you get comments about wording, spelling, grammar, syntax, punctuation, and formatting add them to a hit list of things you spend 10 minutes checking before you send out each draft (and especially before you submit!). This will make life much easier for your reviewers. Cutting … that should probably be a whole separate post. Just remember that more concise writing is usually better writing, so you almost always should cut words before content. Niggles: I always assume that if I have a niggle, so will my reviewers (kind of how if one student asks something in class, probably others have the same question). So if you have a niggle of a doubt about anything, add a comment to your paper, or try to address it, or talk it over with someone. I’m sure I will have more, but this is a start (and feel free to add your own ideas in the comments). 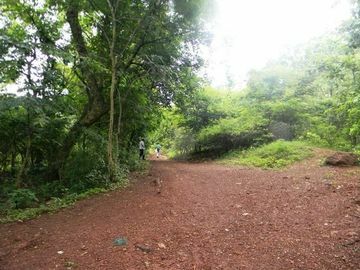 I spent most of yesterday trekking through the jungle at Ananthagiri Hills with about ten people from the GHACand my two children. In between climbing old-creek beds off-trail, hiking through fields of torturous thorny grasses, telling stories to keep the kids happy and uncomplaining, and looking for and at stones, bees nests, peacock feathers, and even one scorpion, I found myself ruminating about the many relationships I and those around me have to the jungle here. My friends and neighbors view even the small patches of jungle (Hindi for “forest”) near my quarters as dangerous and not to be entered. When the children play there, a neighbor calls me warning of snakes. The children and adults do not enter the forest. When I invite them to learn more about snakes (through the GHAC’s collaboration with the “Snake Sense” organization), the children jump at a chance to join me, but the adults will not accompany them. I must request permission to bring 5 children along with me, with no other supervisors. The event, associated with India’s wonderful “Children’s Day” holiday turns out to include a hike. We trek up and down a local hill, slide down a crack between boulders, challenge ourselves to pass along the edge of a large, highly angled stone, climb a tree. The children with me alternate between fear and enchantment, feelings of prowess and worries of inadequacy. At the end, each child receives a first aid kit and a reminder that they gain much from pushing their limits. Will they keep their adventurous nature? Clearly, the GHAC views the jungle as a place for fun, adventure, exercise, and comradeship. On our hike yesterday, we launched ourselves from the edge of a hill up a mountainside through brush, thorns, and rocks. In contrast to my neighbors, concerns about snakes were not prominent. Indeed, from what I learned at snake sense, a dangerous encounter is unlikely (and likely to be precipitated in part by a lack of sense). The excitement of discovery, and the challenge of hiking these non-trails sustains my children through the beginning of the hike. As they begin to tire, I begin to notice that many trails snake through the woods and fields and across or along our path. Soon we are passed by herders walking their cattle down the trails. 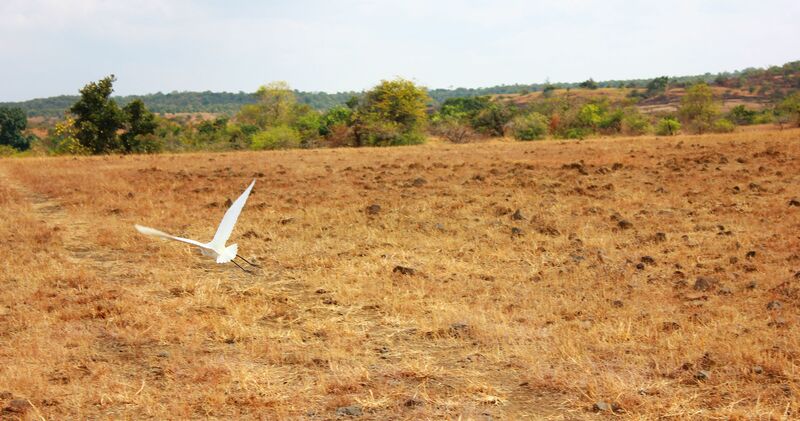 White birds fly among the cattle clearly benefiting from their presence. To these herders, the jungle and fields are not adventure but home and land. We continue on our way, unremarkable to those who share the space with us. Eventually, as we return, we pass the only “wildlife” we’ve seen besides a single scorpion: A lost goat bleating for its pack, unaccompanied. At home, just down the road from our quarters, the workers who are helping with the campus expansion enter the forest frequently, it is their bathroom, washroom, and perhaps more. 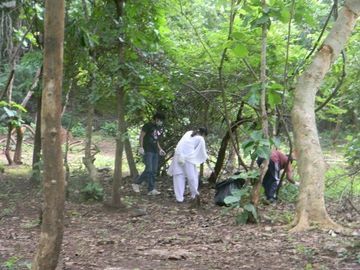 Behind the residence, the local organic farm is engaged in transforming parts of the forest into food. The forest sounds, smells and sights reflect these activities. It is clearly lived in, not just because of the trails that run through it and the plants that grow in it, but also because of the pervasive presence of garbage. In contrast, during our hike, garbage was rarely sighted: Those living on the land preserved its cleanliness. Why, I wonder? Fewer people? Different lifestyles? 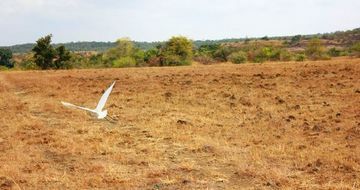 Perhaps a sense of environmentality that grows from using and being responsible for the land, benefiting from its preservation ? At the end of our hike, we traveled to a local lake to relax, cool off and play. We share the surrounding coastline with those who simply live there and other visitors, but we have managed to find a corner of the lake that only one other person, a man chopping wood. The adults in our troupe of adventurers spend hours sharing food and playing in the water. We have brought no toys, boats, or other equipment. A half-full water bottle doubles as a ball for a while, then the play turns to tag. Meanwhile my son repeatedly splashes at those he knows will react by chasing him, throwing him into the water. I am struck by the sense of playfulness and community among this group of strangers who have just met and spent the day together. I think an american crowd might have more quickly run out of things to do, perhaps splashing, then splitting off into small groups swimming. I can’t remember the last time I saw adults playing tag. At the end I am left with a question: What creates these different relationships to the jungle, and how might they change? 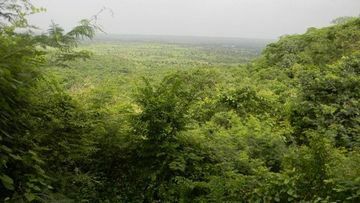 Agarwal’s paper describes a particular transformation in one community’s relationship to the Jungle. From viewing the forest as something that must, by necessity, be pillaged (and that is big enough to take it), one informant says “We protect our forests better than government can… For us, it is life… Just think of all the things we get from forests. If we don’t safeguard the forest, who else will?” [1, p. 2]. After presenting this initial transformation, Agarwal spends much of the rest of his article deconstructing its genesis in the varied regulatory structures and enforcement mechanisms put into place in the decade over which the transformation takes place. He argues for the role of “intimate governance”, rather than “government at a distance”, in creating environmentality. What is promising about the specific success he observed is the way in which it “led to a cascade of changes in institutional, political, and social domains connected to the idea of community” [1, p. 21]. While my observations lack the scale or depth of Agarwals, it seems likely that the different relationships, ownership, and upbringings I observed also have a direct impact on the preservation and use of the forest. Given the interdependency of these factors, as well as the impact of relationships among stakeholders, community attitudes and identity (e.g., ), lasting behavior change seems unlikely without multi-faceted, multi-level solutions1. 1I have argued elsewhere that there are multiple reasons to consider multi-level, scalable projects that engage with governments, organizations and individuals in sustainability research (and, as an aside, that much of the research we do now on sustainable HCI may be lack valid motivations). The analysis here seems to provide additional evidence for the need to think more broadly about the work we do. Agarwal, A. (2005). Environmentality: Community, intimate governance, and the making of environmental subjects in Kumaon, India. Current Anthropology, 46(2). T.Dillahunt, J. Mankoff, E. Paulos. Understanding Conflict Between Landlords and Tenants: Implications for Energy Sensing and Feedback. In Proceedings of Ubicomp 2010. I have been reading up on the discipline of futurism, which academically speaking provides methodological hints for exploring what may happen in the future. One of those approaches, monitoring, and in particular environmental scanning (looking for signs or indicators in large volumes of relevant information) can be of value . Inspired by that and the work of Dourish & Bell in “Reading science fiction alongside ubiquitous computing,” I have begun to work my way through a collection of science fiction, science, and non-fiction books that look forward into the future with respect to climate change. In choosing books, I explored a combination of indie fiction, activist monologues, mainstream science fiction, and scientific writing. In reading these books, I am particularly focusing on how they portray science (or what they say about it) and its interaction with other trends. I have not had time to read many of the books I’ve found yet, but I have started on a few: Forty Signs of Rain (Robinson) depicts scientists at the NSF in the near future as they try to rethink the role of the organization as the climate reaches a tipping point; The Ultimate Choice (Hinsley) depicts a society in which population growth has eaten up the land needed to grow food and the government is forced to watch its people slowly starve or take more drastic measures; Smart Mobs: The Next Social Revolution (Rheingold) discusses the interaction between technology and the social nature of human society (but has only one paragraph that mentions climate change); The Windup Girl (Bacigalupi) portrays a world already changed for the worse by genetic engineering but relatively untouched by climate change; Flood (Baxter) posits a world that is slowly drowning in oceans rising at an exponentially increasing weight (non-anthropogenic climate change). Some of these are books I just happened to read recently for pleasure or research while others were selected specifically for this project. All of them take very different perspectives on what may happen with the climate, and equally different perspectives on technology. For example, Robinson’s book is set in a future whose technologies are exactly those of today, while Hinsley posits an Orwellian society in which most citizens are lucky to have food and a map is a technological luxury. Television, of course still exists, but only the state has modern technologies (and they, again, match todays). In Rheingold’s book, the purpose is to explore cutting edge technology; the role of applications, and their interaction with culture and society society (specifically how to avoid threats to liberty, dignity, and quality of life while enabling tho promise of these technologies). Bacigalupi creates a rich portrayal of a world whose technological innovations are new engineered species (semi-human and others) that are at times indistinguishable from (or competitive with) existing species. In Baxter’s world, technology is more prominent than in the other books, despite the fact that technological innovation has (almost) halted (after the creation of the ultimate music player, one which connects almost magically with the brain, without cords) due to the focus on surviving the disastrous consequences of the unstoppable flood. The most prominent technology in the novel is a 3d projection system that can render the earth and illustrate the coming catastrophe. Perhaps equally important is the solar powered mobile phones that allow climate scientists to “convene” virtually once each year as they pay witness to the disastrous flood overtaking the earth. Bell, W. (2003). Foundations of Futures Studies: Human science for a new era: History purposes and knowledge (Volume 1). Transaction Publishers. Dourish, P. & Bell, G. (2008). ‘Resistance is Futile’: Reading Science Fiction Alongside Ubiquitous Computing. Personal and Ubiquitous Computing. In Press. I am in Delhi for the week (mostly with family obligations), but I was able to sneak away for a few hours this afternoon (less time than I hoped) to visit the Center for the Study of Developing Societies, also home to innovative programs likeSarai and IM4Change. I have been trying to get in touch with them for a few weeks, ever since a collaborator recommended I visit, and it was well worth the trip. I knew about their Hindawi project (which was one of the first attempts to localize the computer experience (specifically, RedHat, because open source meant possible to modify), and that they have a library of social science research. When I got off the Delhi Metro and walked to their building, I found myself in a quiet area of Delhi. The complex is unassuming and not very guarded (how different from the experience of visiting more high-tech offices). I simply walked in and was taken quickly to the office of the one person I knew a name for, Mr. Ravikant (from the Sarai program). We had an interesting conversation about the Hindawi project and his studies of movies in Indian society, and then I headed off to the library. The library is about 6 rooms packed with books, and when I arrived also hosted an art exhibit that took over much of the main room (and cut it in half, literally, via a diagonally placed window pane). Despite the whimsy of the room-sized exhibit, the mood in the room was rather serious. The library was run by an older man working on his PhD who pointed me at the room where I might find books on health and sustainability. I had less than an hour to explore it, so I moved quickly to pick out the most relevant books. I came downstairs, arms loaded, and was greeted by a frown and the information that I should be only picking up 4-5 books at a time. Undaunted, I started working my way through my finds only to learn 30 minutes later that the library was closing 15 minutes earlier than advertised. In the end, I had time only to write down the references for the most interesting books, skim 2 or 3 of them, copy a few quotes, snap photos of a few pages, and so on. The collection was truly unique, with many books published in India or even self-published. I fear I will not be able to find many of these anywhere else. I end this post with a smattering of what I found. After leaving the library, I ended up walking home beside a member of CSDS who works on media and journalism. His work attempts to translate information needed to improve the accuracy of indian journalism, and we had a long and interesting conversation about localization and stereotypes during my metro ride home (we overlapped for quite a ways). We had a very interesting conversation about his work on IM4Change and indian society overall. We talked about the difficulties I am having in developing an intuition for “india” and the fact that one reason for this is the diversity of who india is and where it is going — this requires a form of localized thinking that echoes the need to think at the individual level in assistive technology. It is not easy to hold on to both the specifics of one environment/context and also the generalities of a whole (and very diverse) set of societies/country. One interesting insight I gained from the conversation is to think about in what ways (and how universally) scarcity defines Indians. Overall, the visit was a reminder that I need to further immerse myself in Indian culture, especially rural culture, if I am to have anything useful to say about those settings. As we’ve learned in HCI, each user is unique. Similarly, in India, each locality is unique (there are 17 languages and over 800 dialects here, just to give a sense of the diversity of different regions across India). While good HCI eventually comes to conclusions that can generalize across users, it is often very effective to first get to know specific users very well. This becomes even more important when the user is foreign to the designer. I don’t know if I’ll get there in my short time here, but at least I have a sense of the road I need to travel now. ML Dantwala (1996). Dillema’s of Growth: The Indian Experience. Sage publications: Looked at agricultural policy; rural development. one chapter concerned with the adoption of high yield seeds. Mahmood Mamdani (1972) The Myth of Population Control: Family, Caste and Class in an Indian Village. Monthly Review Press, New York. B. K. Pradhan, M. R. Saluja, S. K. Singh. Social Accounting Matrix (SAM) for India: Concepts, Construction and Applications. Sage Publications, New Delhi. Detailed modeling (input out put, and SAM ) for workers in india, exploring gender differences, etc. Forests, Environment and tribal economy. Deforestation, impoverishment, and marginalisation in orissa. W. Farnandes, G. Menon, P. Viegas. Indian social institute, tribes of india series. 1988. Looks at tribes and forests. Tribal traditions, causes of deforestation, consequences, official solutions (10) devolpemnt progammes and people’s solutions (11). Complements agarwal? Human Development Report Uttar Pradesh — Lots of status on health spending & so on. Get the same for AP? Tribal Health: Socio-Cultural Dimensions (1986). Edited Buddhadeb Chaudhuri. Inter-India Publications, New Delhi: Goes into great depth about medical anthropology in india. has a whole section on interaction of traditional and modern medical practices. Ch. 26 (p. 311- 321) deals specifically with the conflict between traditional medicine and a western program that was implemented, and how these interacted. “This study depicts the failure of state government health programs in motivating the Santals, whereas the health programs initiated through Sriniketan influenced the Santals in a positive way” (no surprise here!). In general the chapters in this book are short. Sheila Zurbrigg (1984) Rakku’s Story: Structures of ill-health and the source of change. Printed by George Joseph, on behalf of the author! She is a canadian doctor. Sems to be an ethnography, very interesting if I can get it. Available from Centre fro social action, gundappa BLock, 64 Peme Gowda Rd. Bangalore, 560 006 or Sheila Zurbrigg, 1120 the parkway, london, ontario, n6a 2×3 canada. Talks about the medical model of health and the fact that social factors (food distribution & access for example) have much more impact on overall health than individual disease, and in fact were responsible for improvements in world health before the germ model was even developed. Om Parkash Sharma (2000). Rural Health and Medical Care in India (A sociological Study). Manak Publications Study of the “modern healthcare system” in india, focuses on Uttar Pradesh. J. P. Naik (1977). An alternative system of health care service in india: Some proposals. Allied Publishers Private Limited. Meera Chatterjee, 1988. Implementing health policy. Manohar, Centre for Policy Research, New Delhi. Policy focused. Looks at community participation in health care (chapter 5) and the role of the private voluntary health sector (6) spreading primary health technology (7). Life without food? (8). Ecology, Politics & Violent Conflict. Mohamed Suliman (Ed). ZED Books, 1998. International perspective on conflict driven by environmental issues. Isomäki (r.) and Gandhi (m.) (2004). The book of trees. Other India Press. 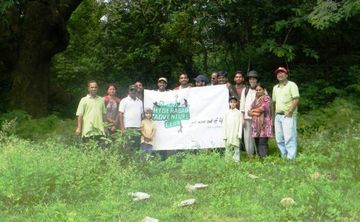 Global look at trees, written and published in india. seems more manual than introspection. The stable owner where we ride each morning invited us to watch a Polo game. At the end of the game, a complete stranger came up to us and handed each of us a bag of chips and a box of mango juice, left over from what a student group at the same game had been given. I forgot to bring any cash with me when I left for the game, in a rush, with a sleeping daughter in arms. When I exclaimed aloud about this without thinking, a passenger in the car, whom I barely knew offered me 1000 rupees with the vague notion that I would see him in the next day or so to pay him back. The GHAC members we have meet invariably show the kids with snacks and candy and requests for photos. When we finally organized the cleanup of our local playground that the kids have been requesting since our hike to Ananthagiri hills, one GHAC organizer offered to attend and bring the leadership of GHAC with him to help. We assured him this was not necessary, but he and others at GHAC helped me to find gloves appropriate for picking up broken glass, and were generally supportive of me and full of praise and support for the kids in doing the cleanup. Other families in the block have offered to watch the kids, include them regularly in happenings such as Pujas (as well as myself), and generally made us feel completely at home and as though we’d lived here for a long time already. The staff at IIIT have worked hard to meet our every need, often coming to our flat to bring things to us if we were not able to come right away to their offices. I’m sure if I stopped to think about this I could come up with many more examples, including many from our time at RGUKT, others from my interactions with the GHAC and Hyderabad Polo and Riding Club, and more. But my goal is not to document every example. Rather, it is to take note of how nice it feels to know that a neighbor is a friend, how friendly it feels to help and be helped by those around us, and how open and open hearted a society I find myself in. For the most part I believe I am adjusting well to these differences, both as one who can give and as one who accepts help and affection from those around me. I want to adapt to this new way of doing things and hope to bring some of it back with me. However there is one thing that I find most difficult to change: One of my friends here asked me very nicely to please stop saying “Thank you.” It makes her uncomfortable, and is abnormal to say it so often. Each time I am touched or surprised by the givingness of people around me, calling it out and thanking them for it is my instinctual reaction. However, it is culturally awkward to do so (and perhaps would seem less necessary if it seemed more normal to me to be surrounded by such giving). So I will try to adapt, though I fear I could step wrongly in the other direction (or that I will simply find this change too hard). But allow me an indulgence, here on this blog, one that may help me to rein myself in later: Thank you, to everyone I meet here, for being who you are and doing what you do. *I am not claiming that there is nothing negative here. For sure, we have been asked for money (beyond simple borrowing), stolen from, and beggars are also common. However, the overwhelming feeling is that of a positive, giving environment in which far more people reach out to help each other than the reverse. *Photo credit: All photos by GHAC. Thanks for sharing! 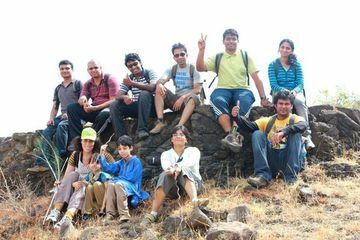 I have been hoping for an opportunity to join the Greater Hyderabad Adventure Club (GHAC) on an outing ever since I discovered them two weeks ago. They have meetups ranging from local bird watching to multi-day trips that all seem exciting and fascinating. Today I finally was able to follow through. The meetup was slightly later than the usual 6:30 meeting time, and on a weekend when the kids were free. Equally important, the kids were excited: It involved both a hike and a chance to do something for mother earth (pick up litter). Both kids have been asking about volunteering recently and how children can be involved, and my son seems especially intrigued by the concept. Both children were very excited when I told them about the meetup, so we signed up. The day began with an alarm clock, a little horlicks (ovaltine) and a long wait at a local bakery after we were dropped off. Luckily, new friends showed up shortly and introduced themselves — both were as new to GHAC as us, and very friendly. Good thing too, as the usual hurry & wait of travel set in. Once we were settled in the bus, we were surrounded by friendly faces, many of whom offered the children food and drink as we drove. The GHAC is an organization that started three years ago. 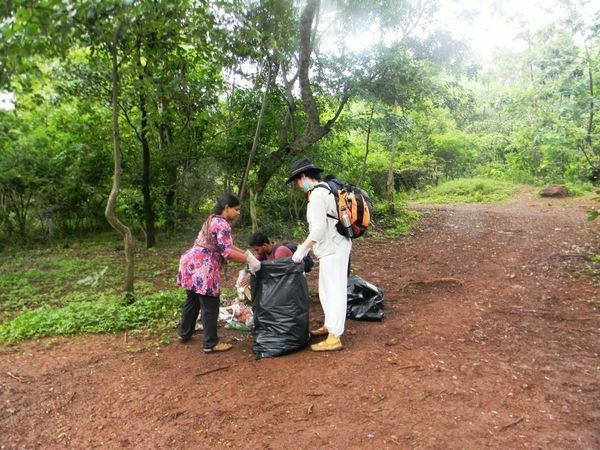 Because of the special nature of this trek (cleaning up), there were many folks involved who had helped found it or been involved for some time. Most other events have two organizers (a leader, and someone to mop up the crowed at the back end), who have been extensively trained in safety, outdoor survival knowledge, and so on, and are limited in size to a manageable number of folks accompanying those leaders (around 15 maximum). The club started small, but about a year ago began growing dramatically and now has over 5000 members, only about 100 of which are trained leaders. As a result, most meetups book up very very quickly after they are announced, even though there are many each week. This meetup, again unusual in nature, had no limit. 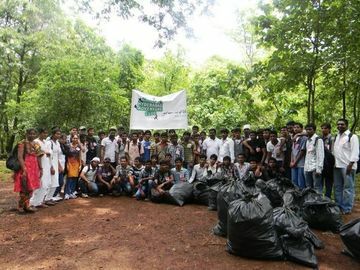 In fact, a group of about 30 college students met us there and helped tremendously with the cleanup. After a quick stop for Idli and other breakfast yummies, and a long drive, we finally arrived at the temple marking the start of our walk. 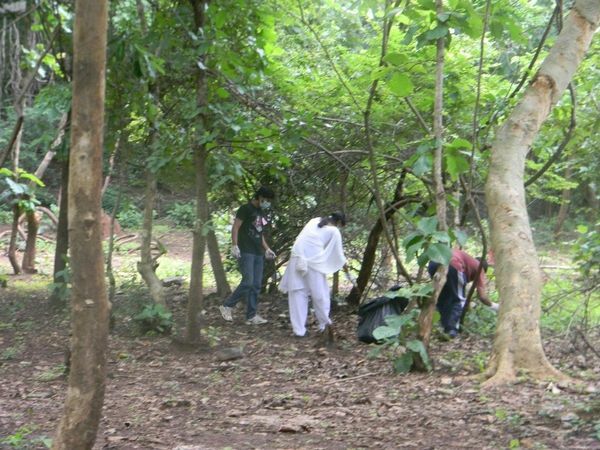 We headed down a set of steps into a valley near the temple and began picking up garbage. The GHAC leaders helped to organize us (and the students when they arrived a few minutes later), provided special gloves and facemasks to anyone who wanted them, provided garbage bags, and generally kept things moving. The kids documented what we did with videos and photos, and had a great time exploring the forest. We helped make sure they avoided any spiders and snakes. The kids were far too noisy for me to worry much about the bears, boars, and other animals that live in the surrounding forest. I did run into one spider web myself, and discovered a VERY large spider walking down my neck a few minutes later. After seeing me doing a bit of a dance, someone suggested I just hold still and calmly grabbed its silk and moved it. Wish I’d had the presence of mind to think of that myself! It was BIG, though. After ... the litter is in bags now instead of on the ground. In the background are most of the many college students who helped us. Although we didn’t spend much time touring, the organizers were kind enough to take us around a bit. We were surrounded by the constant sound of birdsong, and drank in the beauty of the surrounding forest while trying to ignore the litter that hadn’t yet been cleaned up. Most beautiful of all to me was the eucalyptus grove. We did try to look for birds, but we heard them far more than we saw them. Instead, we saw boar tracks, a toad, a very large spider, and many kinds of plants. The organizers of the event did a great job of using it to educate as well as clean up. After the main cleanup, we piled the bags high and joined in a circle to pledge to protect the earth. Next, we piled back into buses and traveled on to a beautiful overlook, where we discovered more litter. This time, we were able to gather more than half as much litter in 10 minutes (there was a lot, all in the same area) as we had in 3 hours before. The kids delighted in taking on the role of time keeper as we cleaned. 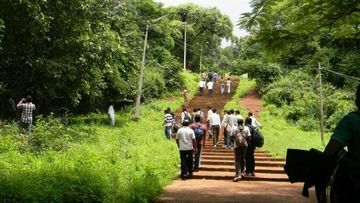 The event ended, after lunch and relaxation at the hill station’s main resort hotel, with a long ride back to Hyderabad. This was a chance to talk and make friends with the wonderful group of people who helped the cleanup to happen. The children were playful, as were the grownups and we shared a great deal of laughter during the long drive home. When we finally got back to our flat, it was long past dark. After a quick snack, I put the children to bed. When we stopped as usual to make wishes and thanks, the importance of an event like this was made abundantly clear. My children had absorbed its meaning far more deeply than I had imagined. Both children talked about how bad litter and plastic were. My son wanted to organize a cleanup of the play area near our flat that all the children use. My daughter planned to invent a special device the fairies could use to tell everyone on earth never to litter again. However, after finding out that plastic takes a long time to degrade, she wanted my reassurance that we would not gather the litter up simply to throw it in a landfill where it would continue to bother mother earth. Her fairies, she told us, needed material to make there houses, and couldn’t we use the plastic for that and other projects? Despite the joys of the day, there was one thing about the event that concerned me. My son refused to take an oath to help the earth when others did. Later, as he went to sleep, he asked me how he could possibly make up for all the bad things he does to mother earth (especially driving so much). 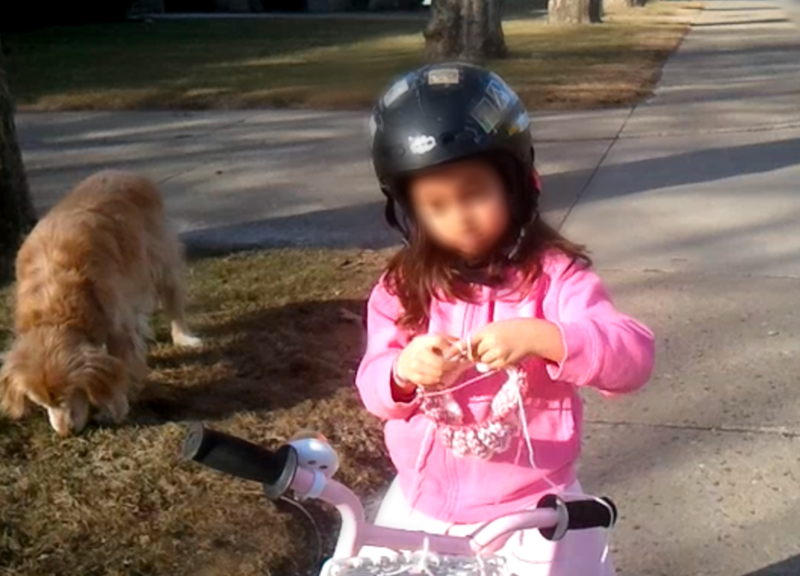 It breaks my heart to think that by letting the kids know when we decide to take a train instead of fly, or bike instead of drive, I may have led my son to feel he was doing so much bad that he couldn’t promise to help her. Perhaps I should never have done more than show the kids how beautiful the earth is at this age, letting the rest come when they were ready. For sure, striking the best balance is difficult. Since I can’t undo what’s been done (and I’m not sure I know a way to describe the choices we’ve made in the past that’s truthful without creating guilt), I tried instead to explain that the impact of what we did today was far greater than the garbage we picked up: If what we did ensures that the students and others who attend never litter again, or stops other visitors from littering, we’ve saved lifetimes of garbage from being thrown out. That sort of impact is bigger than any one person. So my hope for my son (and all of us) is that we can again and again create the kind of waves that today’s event did. If that happens enough, if enough people create waves, perhaps each of us can “make up” for the negatives inherent in today’s lifestyle, or better yet change lifestyle and culture enough that living on this earth is once again a shared act of creation rather than destruction.